#?OneSocialProblemaDay? keeps the economical depression away. There are a handful of problems with older inmates in our nation's prisons, more than the obvious fact they are still in prison. After a stay in one of the U.S federal prison, assimilating back into American culture makes for an awkward transition. Having a detention system as socially hindering as our federal prisons is appalling, not actively engaging the sole problem of incarceration is inhuman. Increasing incarceration sentences to prove how committed to society a running politician, is obsession of something other than the collective U.S well-being. Underutilization of resources another theme of Western style capitalism, instead of affording one person complete negative influence over others, force them into a psychological evaluation. And trust me, I mean both the politician and the prisoner. An evaluation of the social potential a person(s) whom wants or is forced into the system, to rate the effects the individual may have on the common populace. To reduce the ethnocentric view's of the narrow minded politician trying to win a influential position, or a prisoner trying to use their experiences to enrich society. This would greatly reduce the burden of elders on the federal prison system, while influencing repeat offenders to become apart of forward thinkers rising out of the ashes of what was once their personality. A Holistic lifestyle is as easy as reading this link. Thank You to all making this idea a reality, years of research and headaches finally somewhere it matters! 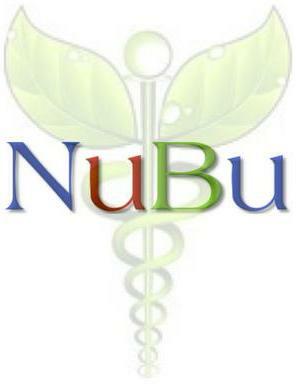 Take advantage of the beginning stages of NuBu, happy Training.